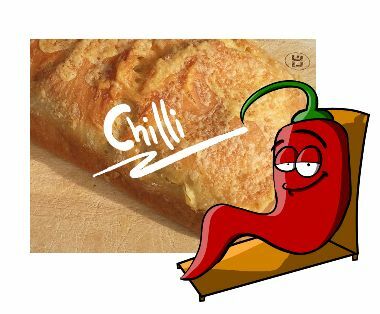 Our Chilli Cheese Bread. And it's hot. Thanks to the chillies proving in the bread dough for 16h. Chillis and Cheese inside and out.